One of Indy’s largest hospital networks is removing barriers and reworking guidelines to attract more high-quality nurses. 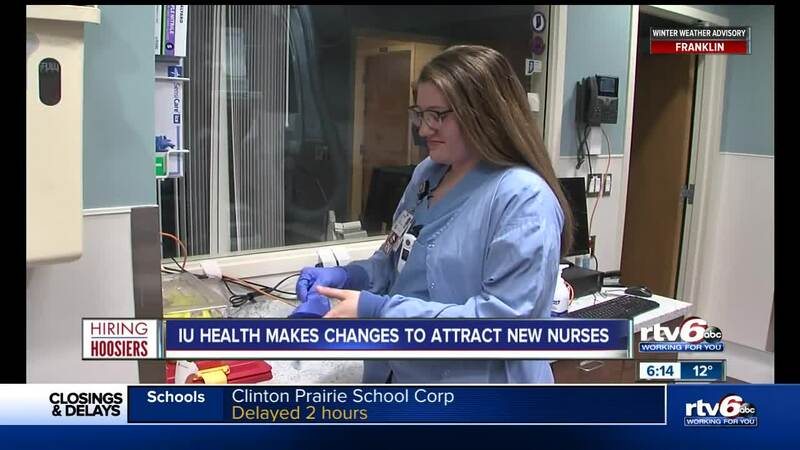 INDIANAPOLIS — One of the Indianapolis area's larger hospital networks is removing some barriers and reworking guidelines in order to attract more high-quality nurses. IU Health is making the changes to provide convenience for applicants. It is also easing its dress code requirements and offering flexibility for nurses considering site assignment changes. Within a couple months of graduating, Kiersten Boyer was a full-time nurse at IU Health. She's accustomed to non-stop days in the operating room. She remembers what it was like starting out as a new nurse, not long ago. "There seemed like there was a million and one things I didn't know at all," Boyer said. "It was amazing because the nurses that I worked with, they took the time to make sure that I was learning and understood what I needed to do." IU Health now needs to fill between 700 and 800 nursing positions. Currently, the hospital network has more than 8,500 nurses on staff. They make up 25 percent of the workforce. "I think a lot of the strategies we've put in place over the last two years have helped us attract the best and the brightest," Liz Dunlap, chief human resources officer for IU Health, said. One of the first focused on switching to a high-tech application process on mobile devices. Dunlap says since the upgrade, more than 65 percent of applications come through the mobile-enabled technology. The hospital network has streamlined and simplified the application process. IU Health has also adjusted some of its dress-code policies when it comes to body piercings and tattoos. "It allows our team members to bring their whole selves to work and to reflect who they are as an expression of whether it's body art, or hair coloring, or piercings," Dunlap said. 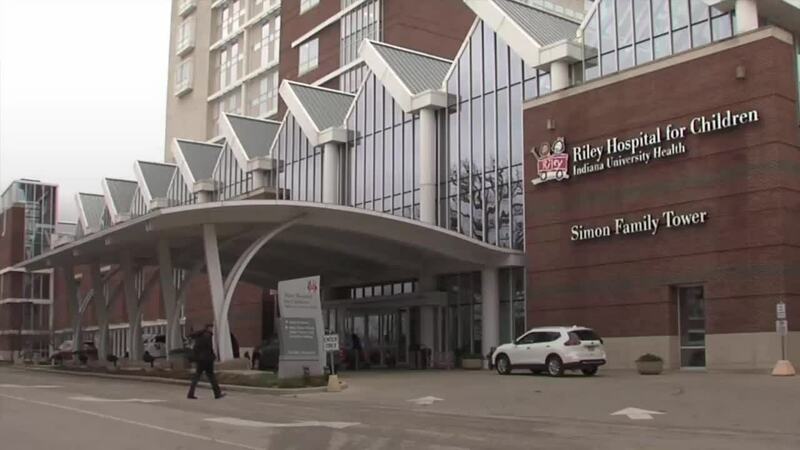 IU Health administrators say they're making Another change to attract top-notch nurse candidates — they're aiming to respect the need for flexibility, when it comes to experiences and locations. "What we find with a lot of millennials or grads is they have a lot of interest in different areas," Dunlap said. "You may hire somebody into one department or one part of the hospital and they may do that for a year or 18 months and then they may have an interest in learning about a different specialty." Jason Gilbert, chief nursing officer, said the hospital network has started experimenting with nurses who want to work in different areas, allowing them to work one schedule in one area and another shift honing a separate specialty. "It really keeps their interest and professional development front of mind," Gilbert said. The push here is to find nurses, allow them to be themselves and settle in to what they love or explore what they can be.